Charles Triplett O'Ferrall was born October 21, 1840, in Frederick County, Virginia. In 1855 O’Ferrall was appointed clerk pro tempore of the Morgan County, (West) Virginia, circuit court and served for two years before being officially elected to that position, which he held until 1861. At the start of the Civil War, he joined the Twelfth Virginia Cavalry as a private but was rapidly promoted, achieving the rank of major by August of 1862. During his recuperation for a wound received at the battle of Upperville in Enterprise, Mississippi, O’Ferrall met Miss Annie Hand. Following their marriage on February 8, 1865, he returned to active service as commander of all cavalry forces in the Shenandoah Valley and served until the end of the war, achieving the rank of colonel. In 1868 he entered Washington College (Washington & Lee) and graduated with a law degree in 1869. After practicing law for two years in Harrisonburg, O’Ferrall ran as a Democrat for the Virginia House of Delegates and won a two-year term (1871–1873). In 1874 he was appointed judge of the Rockingham County Circuit Court, a position he held until 1880. Following the death of his first wife, O’Ferrall married Miss Jennie Knight in 1881. The couple had four children in addition to the two children from his first marriage. After failing in his first bid for US Congress ten years prior, O’Ferrall won the seventh district’s congressional election in 1882 and began serving the first of five consecutive terms in the US House of Representatives. In 1893, running on the bimetallic currency ticket—opposed to free silver and proposing support for agriculture, roads, and schools—O’Ferrall was elected governor of Virginia. 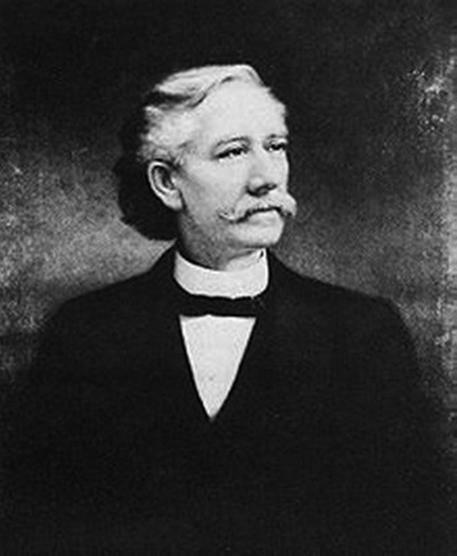 As governor, he received praise in 1894 for his response to the conflict with Maryland over commercial fishing in the Chesapeake Bay as well as for his deployment of militia to Alexandria to disperse a vagrant encampment known as “Coxey’s Army” or “Commonwealers.” O’Ferrall also advocated the concept of the “right to work” and in May of 1895, sent troops to southwest Virginia to protect non-striking miners from violence. He also used troops on separate occasions to suppress the lynching of blacks and proposed anti-lynching statutes in 1896 and 1897, both of which lacked legislative support. In direct opposition to his own party, O’Ferrall spoke out against the “Free Silver” movement and the 1896 presidential candidacy of William Jennings Bryan, therein lessening his popularity and weakening his effectiveness as governor during his final two years of office. Upon completion of his term in 1897, O’Ferrall retired to Chesterfield County, where he operated a law practice in partnership with Samuel Regester. He died September 22, 1905, in Richmond. Source of information: Library of Virginia. Executive Papers of Governor Charles T. O'Ferrall, 1894-1897. The Library of Virginia, 800 East Broad Street, Richmond, Virginia 23219-8000, USA. Younger, Edwards and James Tice Moore, ed., THE GOVERNORS OF VIRGINIA 1860-1978. Charlottesville: University Press of Virginia, 1982.